Give your project a totally handcrafted look with a custom Pergola. Pergolas add a way of differentiating an area. They serve as a focal point and make an outdoor space into an open room of its own. The style that you choose will depend on your property and what you are planning to use your outdoor area for. 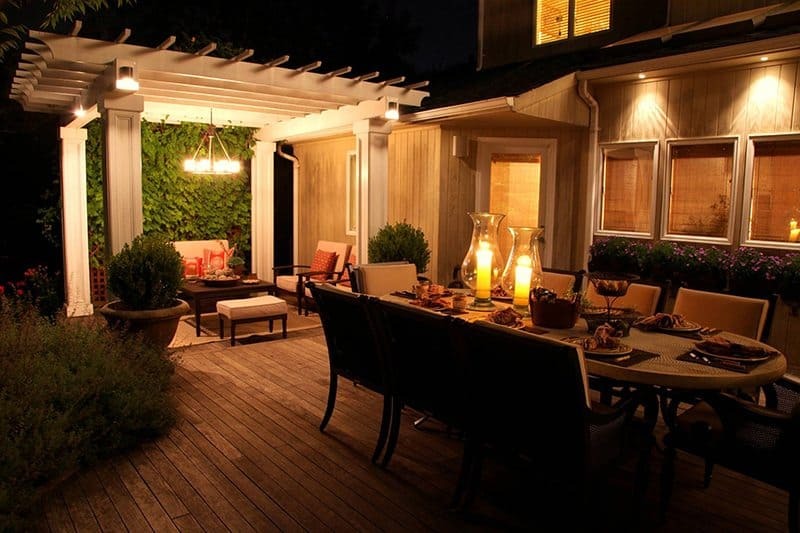 This free-standing, timber-framed Pergola has formed an intimate sitting area on this open terrace — and by adding comfortable, stylish furnishings and other touches such as outdoor-rated lighting fixtures, it has enhanced the property for maximum enjoyment for this homeowner’s family and friends.